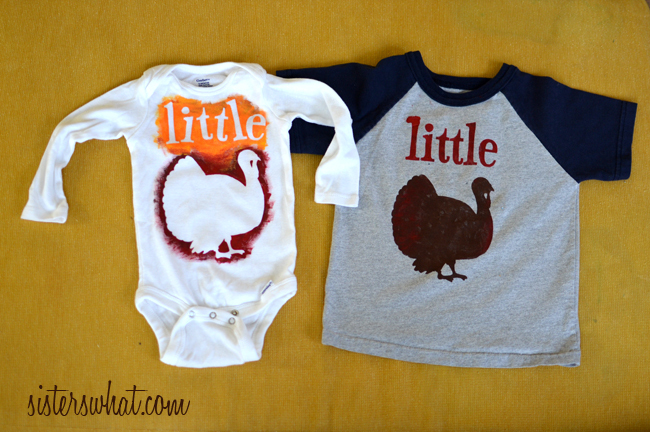 ' Thanksgiving Turkey Trot Shirts - Run, Turkey, Run! and Little Turkey - Sisters, What! Are you ready for Thanksgiving? We just about are. There's a local youth Turkey Trot that we we participated in last year and are super excited to do it again this year. 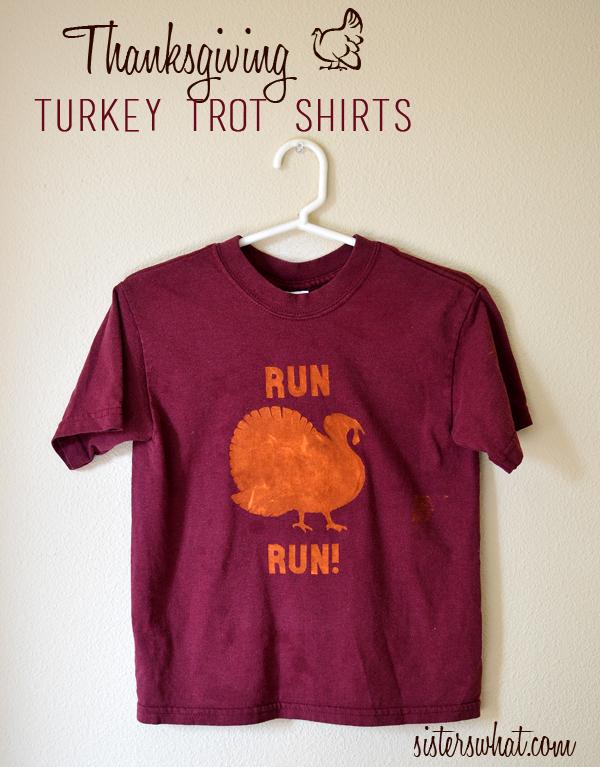 Last year we made Little Turkey shirts, but this year I decided to do a "Run Turkey Run" shirt (in honor of Forest Gump of course!). I think the shirt is too funny and next year I think I'll make one for myself. 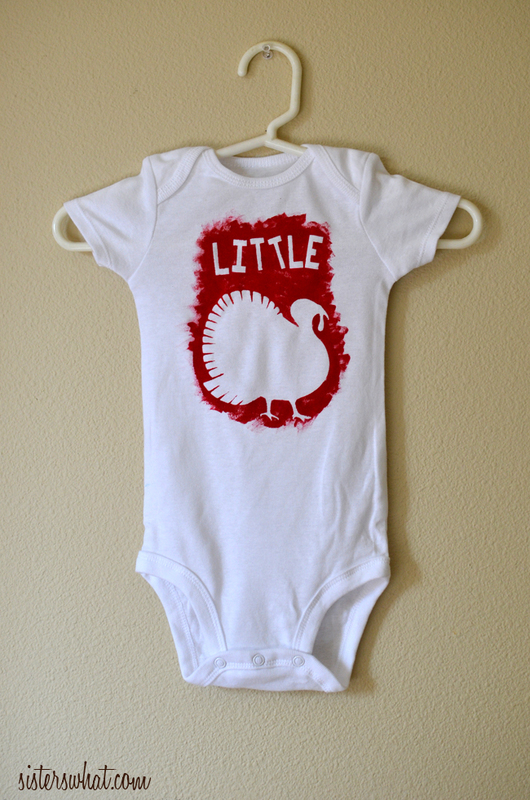 Because our sweet cheeks is no longer a little baby, I had to make him a new one, but I just did a little turkey shirt for him, because he is still so cute and little...I hated throwing away the negative of the turkey so I ironed them on a extra onesie I had laying around. Below are the shirts from last year. :: exacto knife or if you have a silhouette, you can use that instead. These are cute! I know a ton of people who do Turkey trots so this is an excellent idea! Cute!! I've always wanted to do freezer paper shirts, but keep putting it off. This post is great inspiration! UM, even I want the print with the negative turkey... and I'm not participating in a Turkey Trot! So cute! These are AWESOME. Love the idea of home made shirts (I'm always a sucker for a shirt pun) and thought you really pulled these off. I might have to try it!